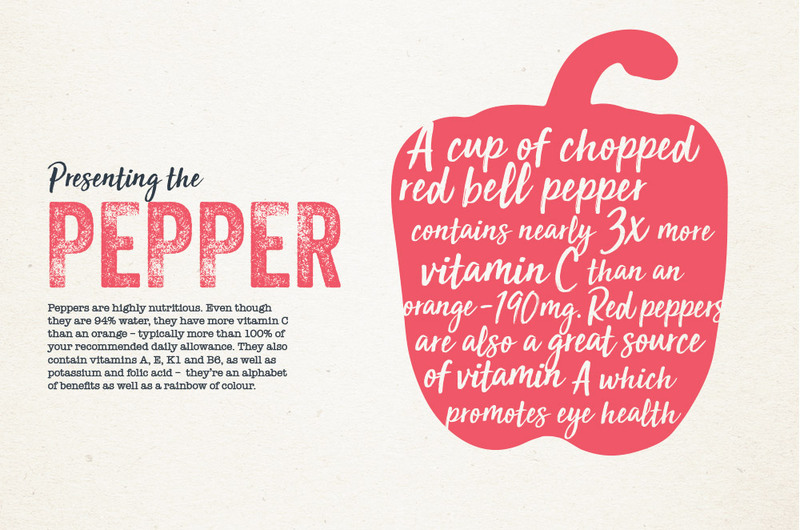 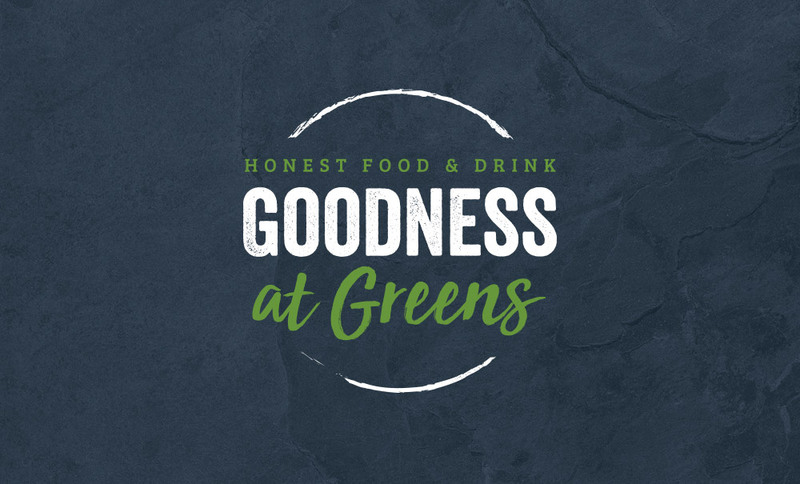 Drive created the fresh-looking visual identity and brand applications for Goodness at Greens, a new dining experience that was launched at Derriford Hospital in Plymouth in 2018. 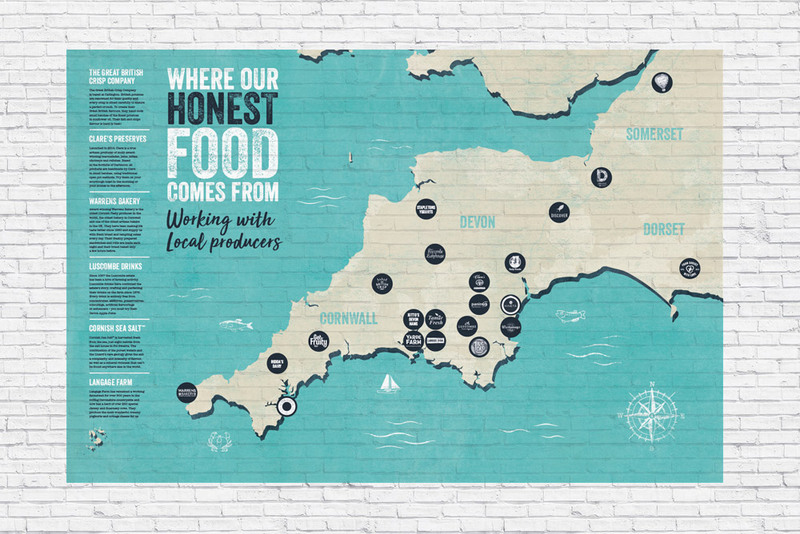 A collaboration between Warren’s Bakery and the NHS Hospital Trust, the restaurant has been conceptualised to offer a balanced range of wholesome foods, largely sourced from local suppliers across the South West region. 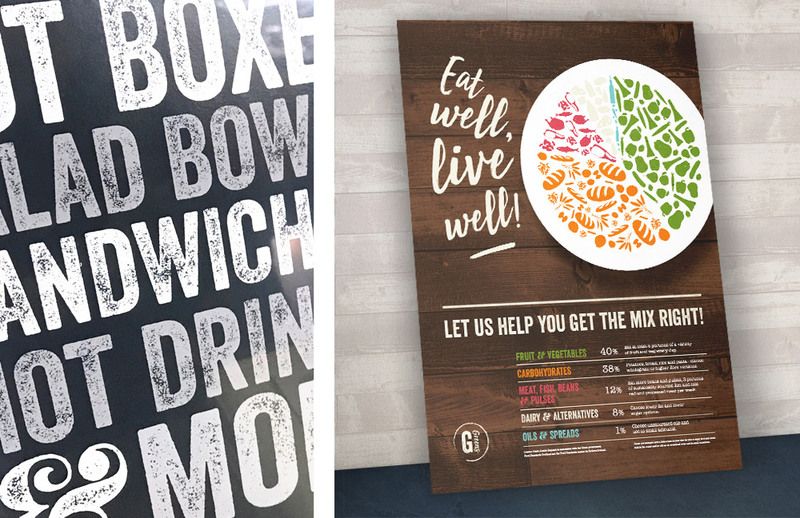 Consequently, Drive developed the brand strategy with all parties – based around ‘honest food’, the common thread that ties everything together. 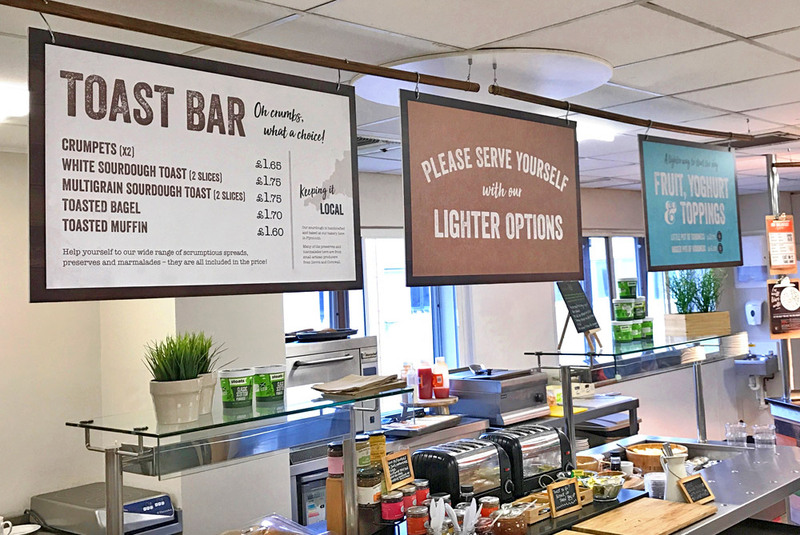 Our central idea was to bring the spirit of food markets into the hospital environment and make the experience wholesome and not clinical. 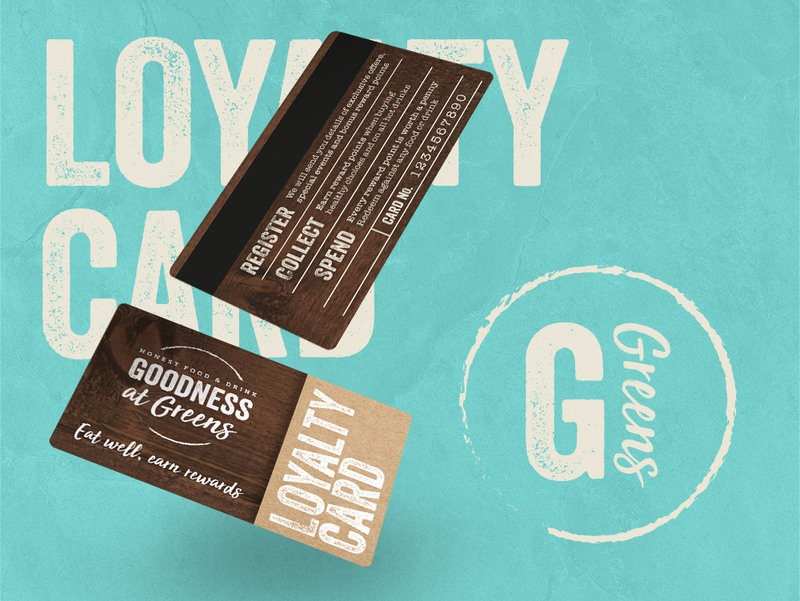 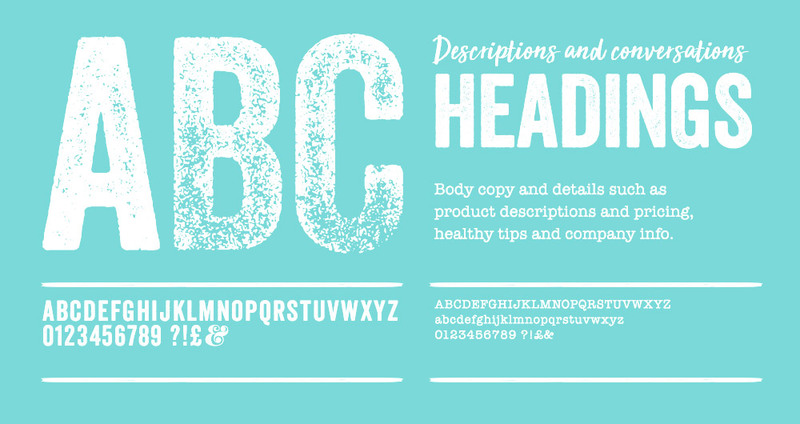 We created the name ‘Goodness at Greens’, as well as the logo and core visual identity – typography was inspired by independent restaurants and farmers’ market stalls with a warm, rustic and hand-made feel, while the vibrant colours were inspired by fresh, healthy foods. 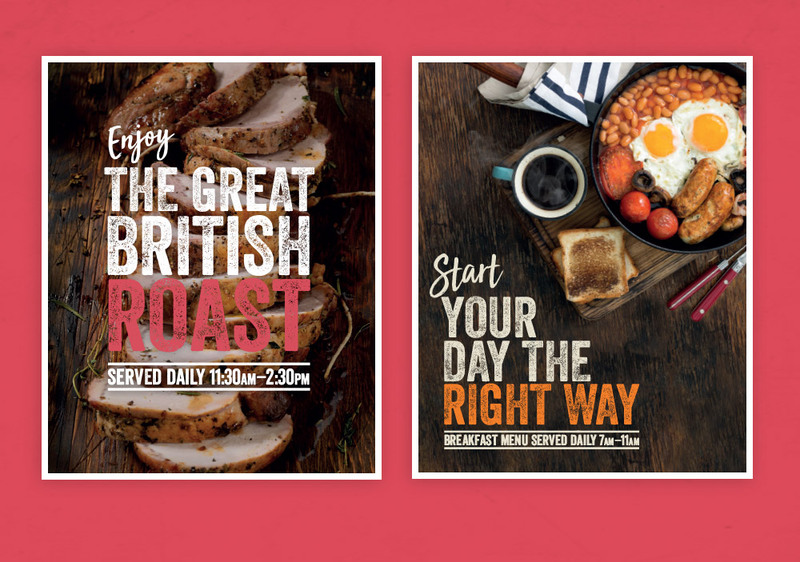 The brand was implemented across every restaurant touchpoint – including signage, information and menu boards, point-of-sale and staff uniforms, as well as a portfolio of creative wall art, regional provenance map and exterior advertisements. 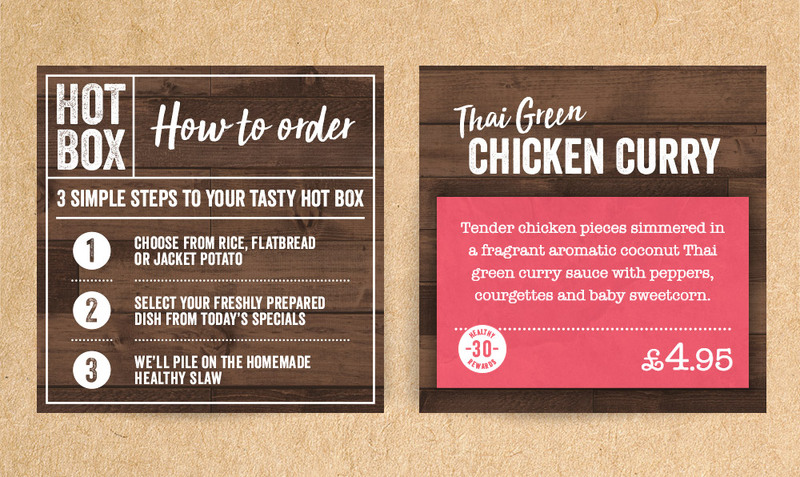 Accessorising the environment with quirky artwork, decorative tiles, bold floods of accent colours and a the brand’s chatty dialogue, helped bring the brand personality to life.